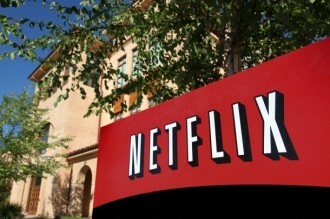 Netflix has signed new licensing deals with Turner Broadcasting and Warner Bros. Television Group that will provide the streaming video service with a wealth of new content for its paid subscribers. New programming is schedule to arrive on March 30 as part of what looks to be a busy year for Netflix. Subscribers will be treated with multiple shows from Adult Swim such as Robot Chicken, Aqua Teen Hunger Force, The Boondocks and Children’s Hospital. Cartoon Network favorites headed to Netflix’s popular Just for Kids section include Adventure Time, Ben 10, Regular Show and Johnny Bravo. Warner Bros. Animation will be responsible for delivering Green Lantern, we’re told. A joint press release also reveals that the TNT series Dallas will debut with season one and two starting January 2014. This is all in addition to multiple Warner Brothers TV shows that will be coming to Netflix in the near future. That deal, announced last week, will bring 666 Park Avenue, Chuck, Fringe, Revolution, Political Animals, Longmire, The Following and The West Wing to the streaming service. We were told at the time that the deal could include future shows as well that could be available in syndication or on a catch-up basis. Netflix signed similar content deals with Disney last month to deliver content from Walt Disney Animation Studios, Marvel Studios, Pixar Animation Studios and DisneyNature but as we noted at the time, the majority of those deals won’t take effect until 2016.